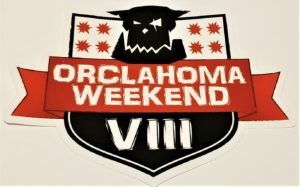 Get a full pack of goodies from Orclahoma Bowl Weekend 2019! 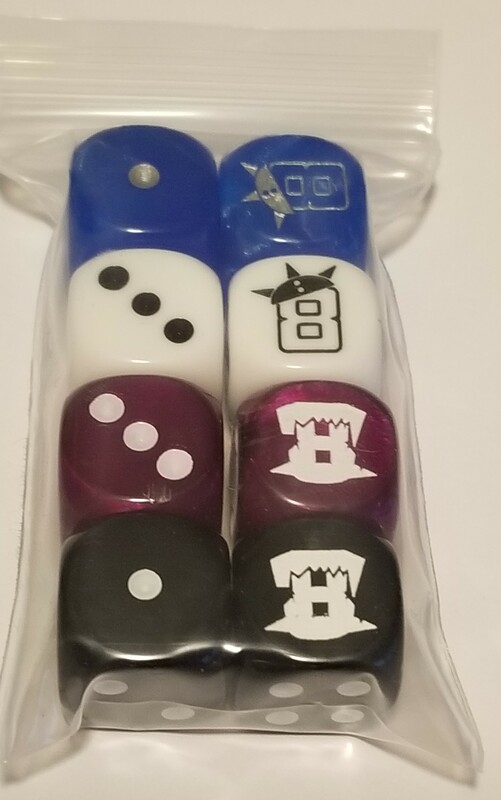 A pair of each dice and a set of the tokens. Also included will be a special sticker while supplies last!